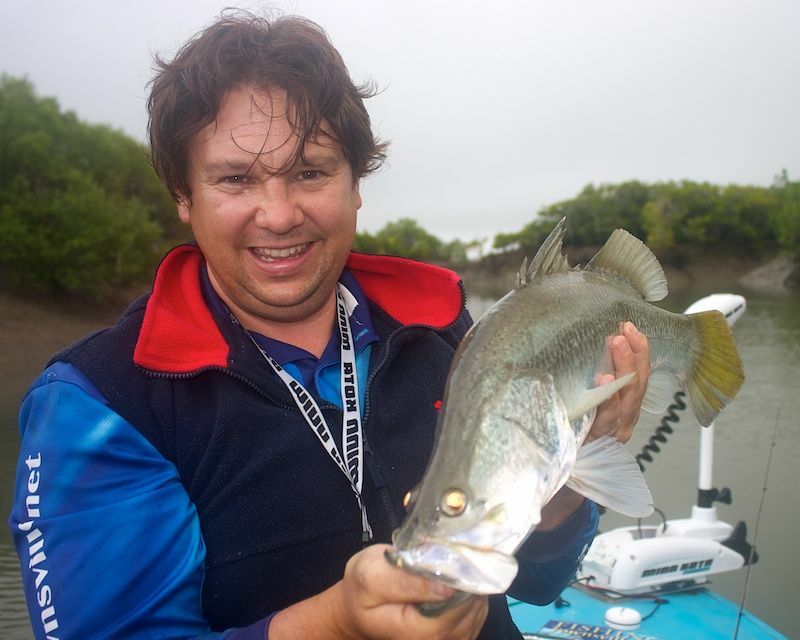 This is a very quick report from a trip to a local creek last Saturday with Andrew Gleeson. I have spent the last few days re-building the OS on my iMac after it started developing random errors. So my computer has been out of action. But its now all back to normal and most of my photos have been restored. We headed of to the Haughton Saturday morning only to find that on our arrival the water was running Chocolate with massive logs and timber throughout. I was expecting a little fresh in the system, but not this much. The surface water even tasted completely fresh. So we bailed from there and went in search of a smaller creek with less catchment area and thus less influence from the run-off. So we headed off into the Cocoa Creek system for a look-see. As soon as we pulled up at the 'ramp' hopes were once again raised. The water was a beautiful green colour and very clear. Only problem was we would have to remain in here all day and wait for the high tide in the afternoon to pull out again. At least it looked like there should be a fish! We headed a fair way up with the top of the tide and then worked the lures with tide on the way out. But were were pretty lucky not to get stuck up the top. As the tide dropped some of the corners shallowed out considerably, and large sections of timber made it a tight squeeze to get back out. It has certainly silted up a bit since I was last up there. But we had a pretty good time. As the tide dropped only a handful of snags and drains remained fishable. But they all held multiple fish. 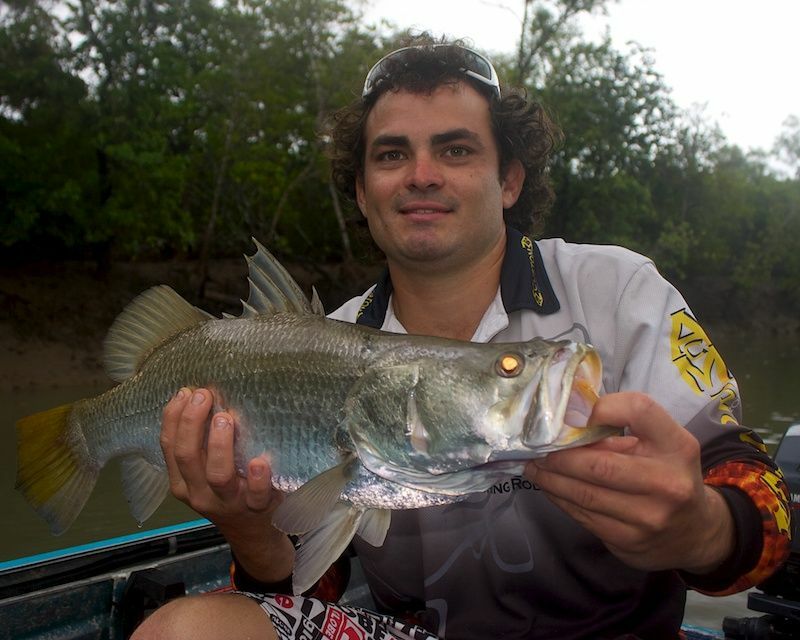 We finished the day with over 40 fish landed, the majority of which were Rat Barramundi in the 55-60cm range. Overall only 2 fish made it over 58cm, and only 1 (at 62cm) cleared legal enough to make it in the eski. 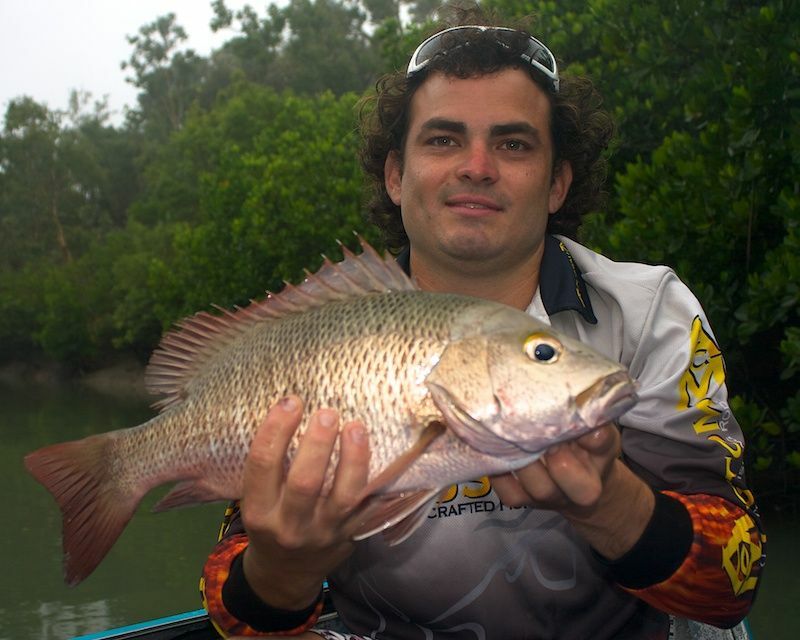 While the fishing was consistent with several multiple hookups, its a disappointing ratio of legal fish to captures. I guess that is the problem with a small system that is relatively heavily hit. But we also managed 3 nice Jacks, 2 of which went 47cm. It wasn't until about 4pm that I was game enough to back my car down to pull the boat out. So it had been a long day, but a good day! Also spotted a dead Dugong floating up the river with the incoming tide in the afternoon! Thanks for the day Andrew, had a great time.